Keep your skin healthy, with this air humidifier that can add moisture to the air, it also help you sleep better, cough less and alleviate dry sinuses. Central humidifiers are built directly into your home’s air conditioning or heating unit. These are the most expensive types of humidifiers, but they are the best choice if you want to add humidity throughout the entire house. Traditional humidifiers carry a potential risk of burns from the steam they emit. Central humidifiers don’t emit steam. Evaporators blow moisture through a moistened filter. Fans power the unit and expel the humidity into the air from a single-unit system. These are more affordable than central humidifiers, but the downside is that they only work in one room at a time. There’s also a possibility of expelling too much moisture in the air. This can be problematic for people with asthma, as it raises the likelihood for mold growth. The downside is, like evaporators, they only work for single rooms. They can potentially cause breathing difficulties for people with allergies and asthma when they’re overused. Steam vaporizers are electrically powered. They heat water then cool it before expelling into the air. These are the most budget-friendly and most portable humidifiers. You can purchase them at drugstores. This type can cause burns, so it’s not the most kid-friendly. 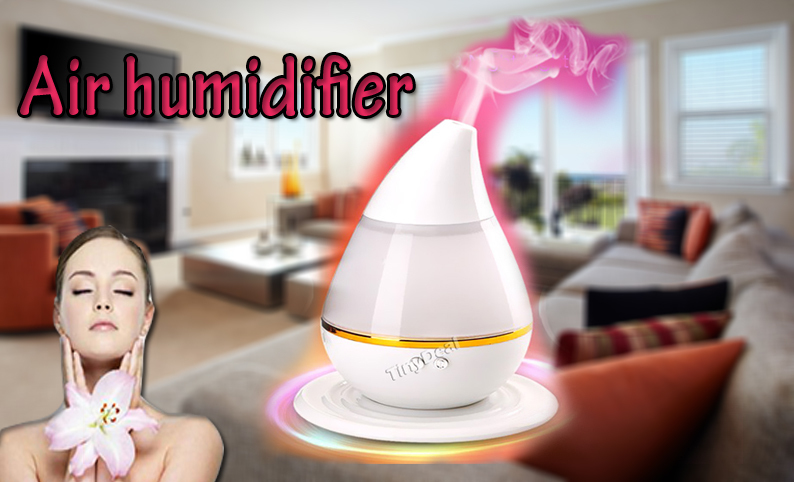 Ultrasonic humidifiers produce a cool mist with the help of ultrasonic vibration. The units vary in price, depending on the size you need for your home. Both cool and warm mist versions are available. 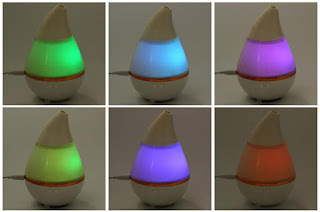 An ultrasonic humidifier — especially the cool mist version — is a good choice if you have children. Humidifiers are often classified as console or portable/personal. Console units are meant to add moisture to the entire house. They’re often very large, but usually have wheels so you can easily move them around. Console units are meant to add moisture to one room. Personal (or portable) humidifiers are the smallest, and are the best choice if you need a humidifier while traveling. Mayo Clinic recommends that humidity should stay between 30 and 50 percent. A hygrometer can determine how much humidity is in your home. Some central humidifiers come equipped with hygrometers, but you can also find them at hardware stores. This air humidifier have a capacity of 250ml, all what you need to drop some water in the tank, and you can also add a few drops of your favorite essential oil into water. Advanced ultrasonic vaporizing diffusion technology quietly releases a soothing fragrant mist to relieve strain and ease stress. 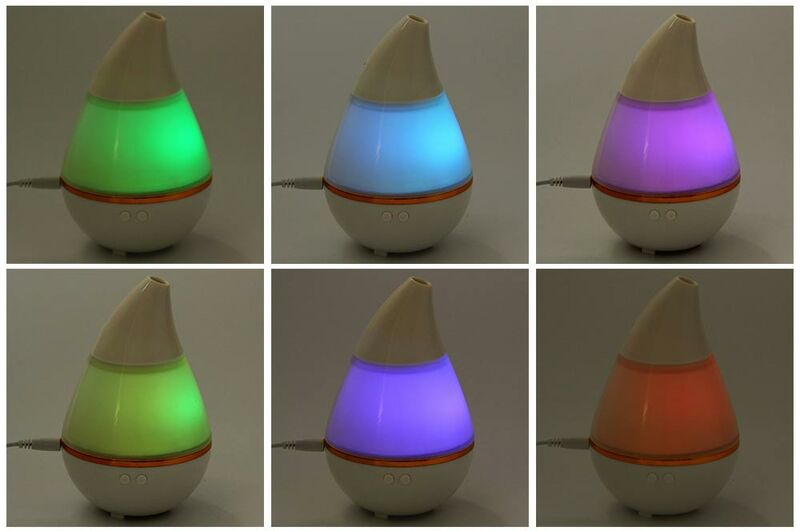 In addition, this air humidifier will create a peaceful atmosphere by the built-in 7 color changing LED lights at night. It can be set to 2-hour working time by pressing the switch, then it will auto off.